Taking the time to recognize and celebrate our mothers and grandmothers every year on Mother’s Day is an essential part of honoring all that our mothers do for us. Planning the perfect Mother’s Day takes time and thought. Maybe it includes taking your mother, grandmother, or wife out for a delicious brunch or serving her breakfast in bed. Or surprising her with a visit to the local botanical gardens. No matter how you plan to celebrate that day, it’s always nice to present her with a meaningful physical gift that encapsulates just how much she means to you and her family. And no, we don’t mean gifting a piece of jewelry or a new sweater. We’re talking about something a bit more unique and sentimental—something that will touch her heart and that she can’t wait to share with her friends and the rest of the family. 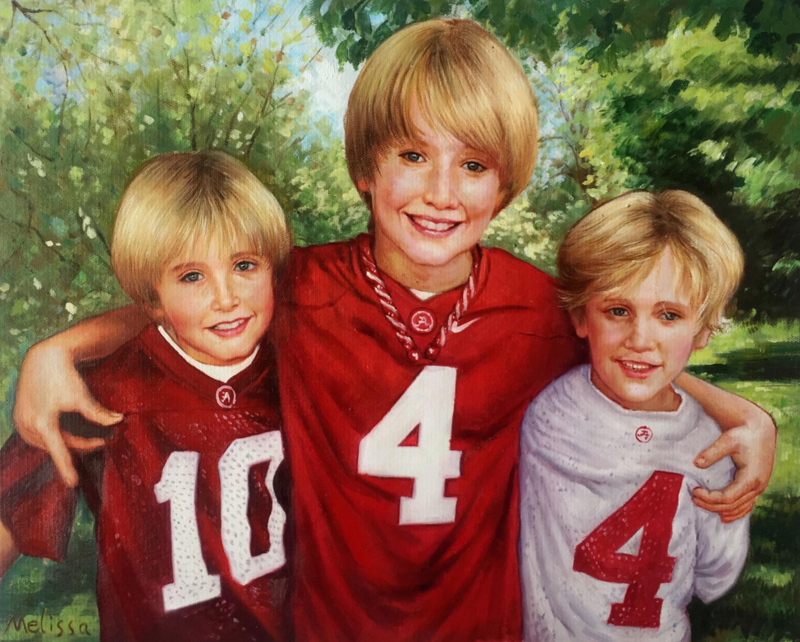 At Paint Your Life, we make a Mother’s Day gift like this possible—with our custom hand-painted portraits. 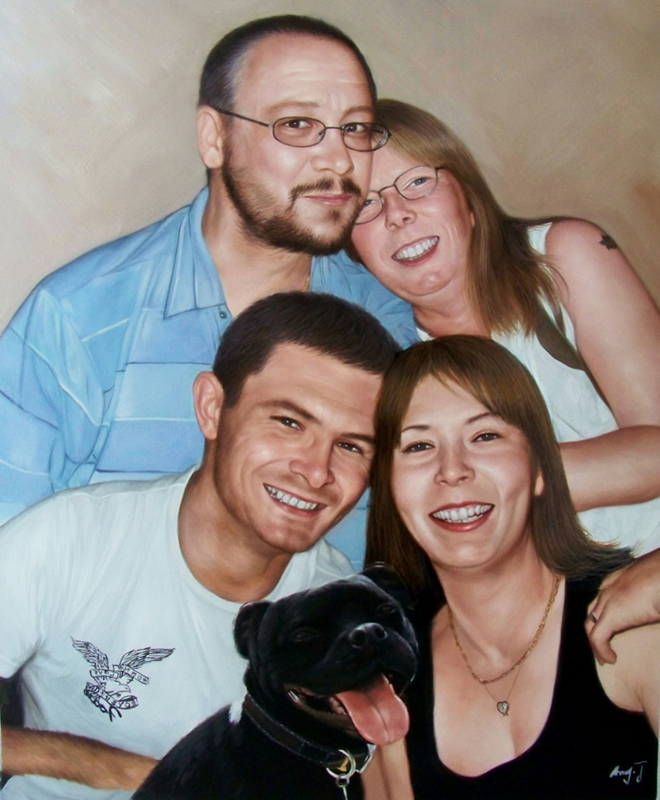 Our talented and professional artists are able to transform a photo of your selection into a detailed and remarkable portrait gift using a medium of your choice—from oil to acrylic paints. If you’re stumped on which photo you’d like to send us for your Mother’s Day gift—you’re in luck. In this post, we’re giving you four ideas for a portrait gift for your mother, grandmother, wife, or another deserving mother in your life. The way a mother holds and gazes at her child is unparalleled—whether the child is an infant or adolescent. 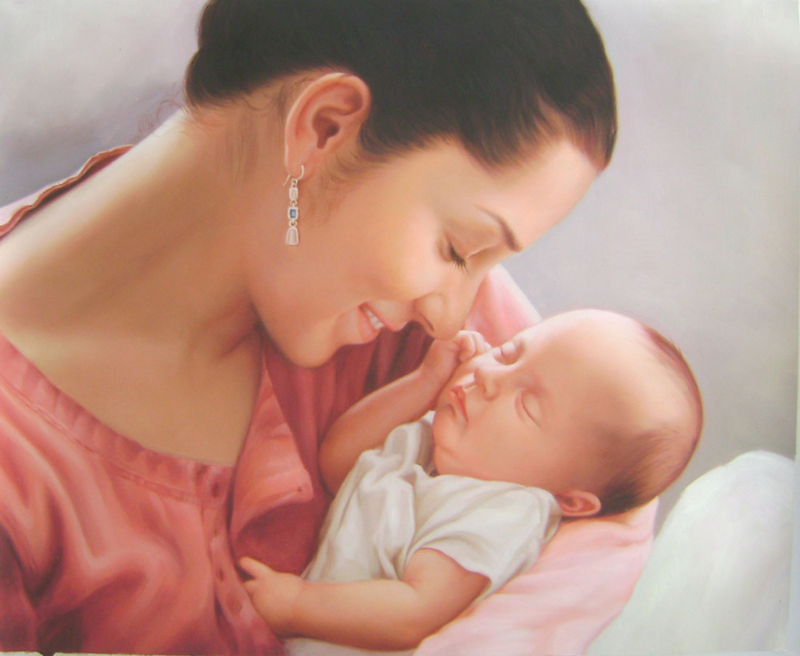 Perhaps you have a photo of your wife holding her newborn after delivery, similar to the portrait above. Or you’ve wanted to do something special with that framed photo of you and your mother holding hands on your first day of kindergarten several decades ago. Maybe you know that your own mother’s favorite recent photo is of her sitting with her grandchildren on a bench in her garden. Whatever the specifics may be, capturing the love a woman has for her children or grandchildren in portrait form is an excellent gift option. Browse our Mother’s Day gallery for more examples, and submit your order for your Mother’s Day gift today! Brother, sisters, and cousins of all ages make for adorable group photos. 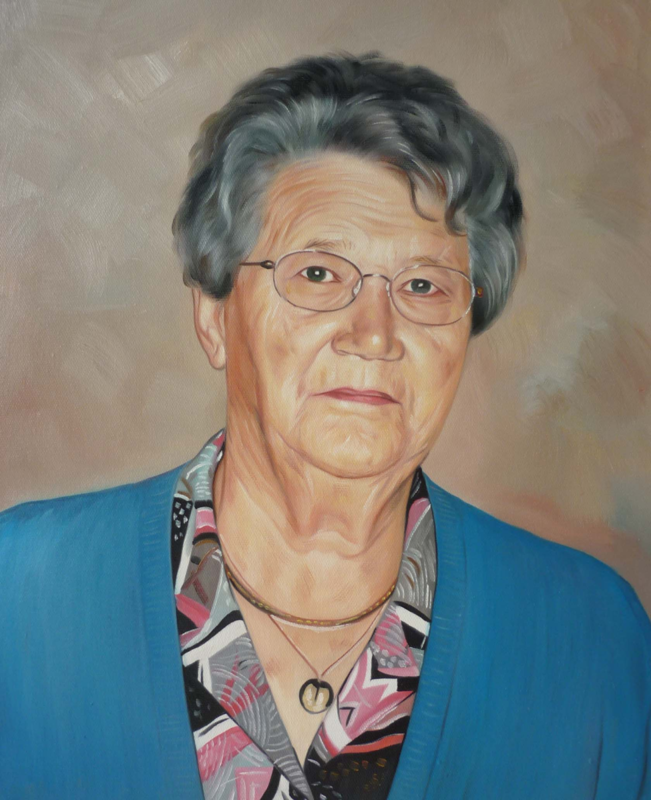 For grandmothers who have grandchildren living in various parts of the country, it’s especially meaningful to see their grandchildren assembled in one portrait. And a mother of sons and daughters will be delighted to hang a portrait of her children in her home for all to see. Whether you’re giving a gift to your wife, daughter, sister, or friend, this portrait option is certainly one that will bring a smile to her face. Check out our Mother’s Day gallery for more examples, and order a Mother’s Day portrait gift today! Celebrating your mother or grandmother’s beauty is always appreciated, no matter what age she is. Whether it be a shot of her on her wedding day or a photo you took of her standing against the backdrop of the Grand Canyon this past summer, our artists never fail to capture an individual’s essence when transforming the photo to portrait form. From the way her hair catches the light to the color of her eyes, her unique characteristics and features will be conveyed in the portrait gift. Think of your mother’s reaction upon seeing herself brought to life in this vibrant and creative way! Visit our Mother’s Day gallery to see more customer examples, and submit an order for your portrait gift today! If there’s something a mother loves seeing and experiencing, it’s those moments when her whole family is together, enjoying themselves and celebrating their familial bonds. Imagine taking that beach shot from your family’s last summer vacation and having it recreated into a stunningly beautiful portrait to hang in your living room. Or seeing your family’s group shot at your mother’s birthday lunch last year brought to life in this unique, creative way. Time and time again, our customers send us heartwarming stories of the reaction their loved one had when he or she saw their portrait gift for the first time. If you’re looking for the perfect Mother’s Day gift—no need to look further. Visit our Mother’s Day gallery now to explore more portrait examples, and submit your order in time for this year’s Mother’s Day!